Living in western societies we often take our right to vote for granted. Low voter turnout can be seen across the board from municipal elections, provincial ones, and even the federal elections -- in fairness it tends to get better the higher the level of government -- and it is for lack of a better word: depressing. With all of the Facebook posts, endless #cdnpoli hashtags and countless political related posts popping up on your newsfeed, you may have heard, there is a Federal Election this fall. I am not here to tell you who you should vote for as your Prime Minister. I am not here to tell you who will the best Member of Parliament for your riding, I am not here to tell you which party is the best for Canada. There is only one thing I am truly concerned about at this time: You getting out and voting. I cannot stress this enough to my fellow Canadians, particularly the youth: Please get out and vote. Some may see the concept of a 100 per cent voter turnout as unnecessary or unrealistic, but with advance voting, easily accessible information as to how and where to vote, and open access to party and candidate platforms it is simpler than ever to be an engaged and conscious citizen. More than anything I would just like to see people commit to participating in the democratic process. Every policy legislated at any level of government can have incremental change, and have numerous intentional and unintentional consequence. So, why not participate? What exactly do you stand to lose if you take an hour out of your day and vote? Nothing. You lose absolutely nothing but have the opportunity to contribute to the results of not only your riding, but the government that will be formed to run this country up to the next five years. We can argue about the inadequacies about the first-past-the-post System, or how representation by population is more so a myth than a reality due to firm party lines; but the reality is no system is a true representation of what the population wants if up to half of the population does not go out and vote. Our last Federal Election had a voter turnout of 61.1 per cent. So tell your parents, children, neighbour, friends and peers: Vote. If you can help an elderly neighbour out and take them to the polls with you, do that too, but simply get out there and do your civic duty. If nothing else, consider the fact that this right that we so carelessly forget about has not always been a right for many Canadians. Canadians of Chinese or Indiandecent could not vote all vote until 1947 and Canadians with Japanese roots until 1948. Although women gained the right to vote in Federal Elections in 1918 from the War Times Election Act it was not until 1951 until all provinces and territories had amended their provincial laws to allow female citizens to vote , in their respective provincial elections; Manitoba led the way for change by becoming the first province in 1916, being more progressive than even the Federal Government. Nonstatus Indians received full voting rights at the provincial level, starting in British Columbia in 1949 finally in Québec in 1969. Federal voting rights were was extended to the Inuit in 1950 and to status Indians in 1960. 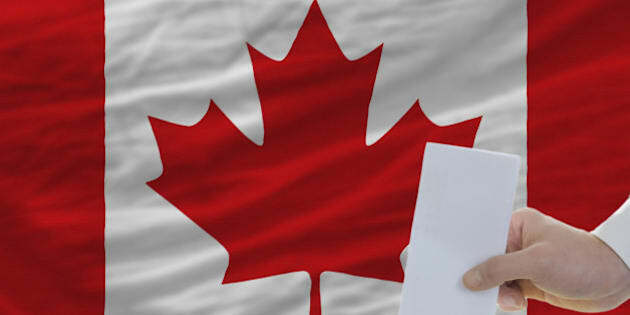 It was not that long ago that so many Canadians did not have the right to vote, and the Canadians that fought at the social and institutional level to create this change would be -- I think -- disappointed at our voter turn out at all levels of government. If nothing else, remember there are countless stateless people and citizens in oppressive regimes around the world, who would give anything to have the fundamental right and ability to actively participate in a democratic nation like we do.